Model sailboats ignite a certain memory or forgotten passion for many. Whether you long to be the captain of a ship or enjoy travelling in a boat, having a beautiful replica to look at is pleasing to the eye. These days, there are many miniature replicas of the real-size items. They include trains, cars, boats, and airplanes. Though they are kits available conveniently in many stores, there is no greater satisfaction than to be able to build a boat from scratch. Even models differ by designs and complexity. If you cannot find one that meets your preference, why not draw up a plan, purchase the materials and build one yourself today? 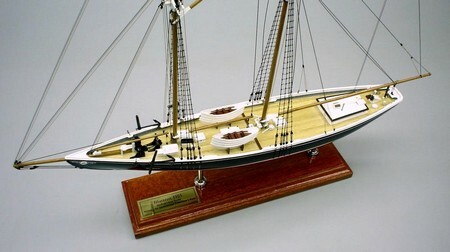 Here are some ways on how to build a model sailboat. Depending on what you want, there are a few types of boats. Some are simple enough for beginners to tackle; some can go on water while others are for experienced or professional builders. The simpler ones are more suitable for kids or first-time builders, while if you opt to build one that can withstand water; you will need a remote control installed with it. For advanced builders, their passion requires many hours of confinement and dedication to perfect that boat. Some of the materials needed include plywood, epoxy, fiberglass cloth, filler and paint. Firstly, you need to mark the plywood with areas to be cut. Measure accurately because the parts have to fit in perfectly later on. To give it a good cut, use a circular saw. That way, you don’t have to bend the wood to cut it. After you have all the parts, you can start assembling. The rule of thumb is to assemble the front, rear and sides of the bottom. The sequence of assembly for the other parts depends on your layout design. To seal joints, apply epoxy on fiberglass tape and wrap it around the respective joints. Let dry before proceeding. You can also cover the seams using the same method. After sealing, you can now add seats, storage and deck. The other parts to include in this process are rudder, mast, and boom. After these steps are completed, give it a fresh coat of paint. Opt for a high quality paint to give it an excellent finish. Remember to apply sealer as well. You can now attach the sail to the mast. To fasten the sail, you may need a more detailed plan. These are the basic steps on how to build a model sailboat. You will surely be delighted at the completed work and marvel at the beauty of the boat.